This Situation Update describes events occurring in Bu Tho Township, Hpapun District between March and May 2016, including taxation, forced recruitment, militarisation and healthcare. In 2015 the Karen National Union (KNU) collected taxes from the Bu Tho Township villagers and the farmers were required to pay the taxes with money instead of with paddy rice. Between 2014 and 2015 the Karen National Liberation Army (KNLA) decided to recruit five to six soldiers in each village tract without consulting the villagers. Many people from A--- village fled to Myaing Gyi Ngu Town because of this forced recruitment. On April 21st 2016, Light Infantry Division (LID) #44 and Border Guard Force (BGF) Battalion #1014 gathered with 38 soldiers to maintain security at Htee La Beh Hta Bridge. 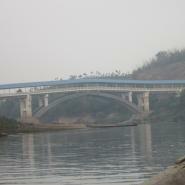 They set up a checkpoint at the end of the bridge and checked all the passengers. The Free Burma Rangers (FBR) and Back Pack Health Worker Team (BPHWT), under the supervision of the KNU, have built clinics and hospitals in Bu Tho Township which provide free healthcare and medicine to the villagers. The Burma/Myanmar government have also built some clinics but there is insufficient medicine or health workers, and villagers have to buy medicine themselves when they go to these clinics. The following Situation Update was received by KHRG in May 2016. It was written by a community member in Hpapun District who has been trained by KHRG to monitor human rights conditions. It is presented below translated exactly as originally written, save for minor edits for clarity and security. This report was received along with other information from Hpapun District, including nine interviews, 51 photographs and five video clips. I am sending a Bu Tho Township Situation Update covering villagers’ challenges, education, healthcare and armed actor activity that I know about. It was documented from March 2016 to May 2016. On April 21st 2016 in the evening, the Burma/Myanmar government military [Tatmadaw] Company Commander Myo Myit Myit Aung with 28 members from LID [Light Infantry Division] #44 gathered with ten soldiers from Border Guard Force [BGF] Battalion #1014 led by [Bo] Maung Chit [and they] went to Htee Lah Beh Hta Bridge. In total there were 38 people. The villagers did not know why they entered the area. 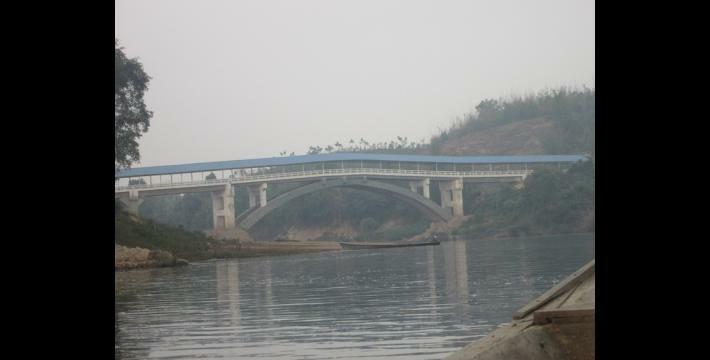 They stayed there on the western side of the bridge at the end of the bridge and checked the villagers who were traveling on the river on motor boats. They started to check the passengers [traveling] from Ler K’Baw to upper parts. They only allowed one sack of rice to be carried in each boat. Starting from Ler K’Baw to lower parts they allowed people [traveling on the boats] to carry two to three sacks of rice because a group of BGF are also based in Ler K’Baw. They asked the passengers some questions. 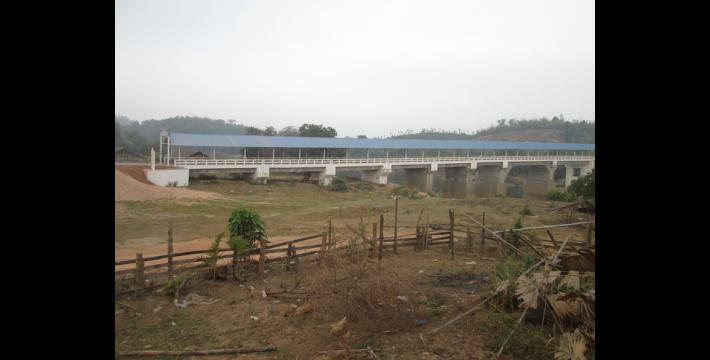 Htee Lah Beh Hta Bridge was built [in October 2015] in Htee Tha Daw Hta village tract, Bu Tho Township. 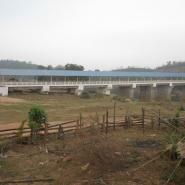 When they [Sayadaw U Thuzana in cooperation with the Democratic Karen Benevolent Army (DKBA)] first decided to build Htee Lah Beh Hta Bridge, they said that it would be [owned by] monks and the DKBA [would also be temporarily based there]. 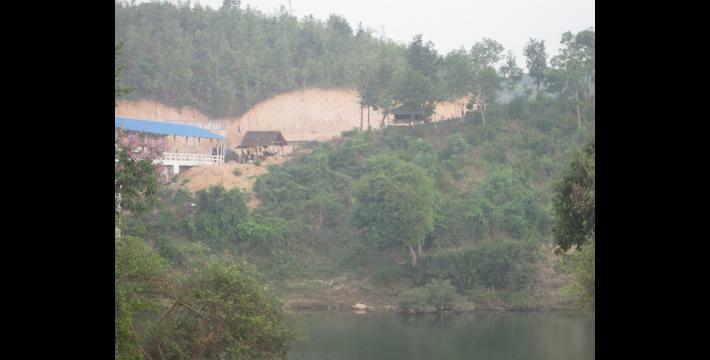 After the construction was completed, [the DKBA left the area and then] the Burma/Myanmar government troops [Tatmadaw] and the BGF came to maintain security at the bridge. 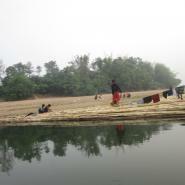 It was not clear to the villagers [why Tatmadaw and BGF patrolled at the bridge]. In 2015 there was environmental destruction in the whole of Bu Tho Township. Moreover, most of the bamboo trees were flowering so there were lots of rats attacking the paddies. 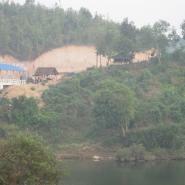 The villagers, who work on the hill farms, cleared a very large area of the hill [farm]. It is large enough for five baskets of paddy seeds to be grown on the [whole] hill farm but the villagers could only collect two to three baskets of paddy [in their part of the hill farm]. Some paddies were attacked by insects until they [the paddies] could not produce rice even [though] the plants were grown. In the last year, in 2015, the heavy rain damaged some parts of the villagers’ plain farms. The villagers who work on the hill farm near Pyeh Loh Koh River had their paddies flooded because there was heavy rain for ten days which damaged the paddies. The paddies were not able to produce rice any more after the flooding and they were attacked by rats. This occurred in every village tract in [Bu Tho] Township. In the circumstances of these challenges, many villagers could not collect enough food and [therefore] they have to work as labour workers. 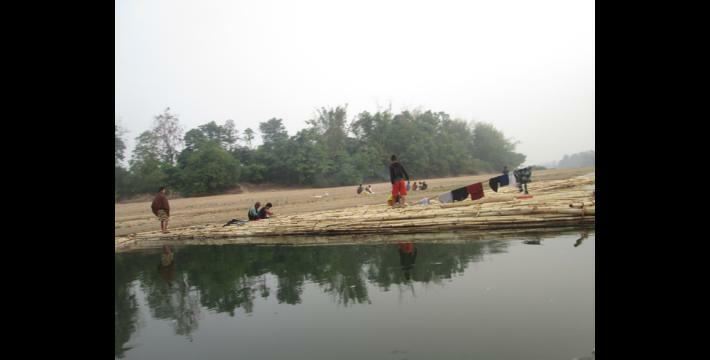 Some villagers cut down the bamboo and collect fruits to sell. Some of them raise livestock in order to buy rice. In 2016 the villagers are likely to talk about food shortages. They also have to pay taxes but they could not afford to pay [taxes] with paddy rice so instead they have to pay with money. Because of the destruction [to their paddies], the village tract leaders and township responsible people followed up with them [the villagers] for more detailed information about whether they are able to pay the taxes or not. Therefore they [the leaders] do not ask villagers [to pay the taxes] if they know they [the villagers] are unable to pay the taxes. Since the BGF was formed in 2010 fighting has always broken out between the BGF and the Karen National Liberation Army [KNLA] in D--- village, Htee Tha Daw Hta village tract, Bu Tho Township. Since it was formed, some villagers have fled to live in Kaw Taw [Myaing Gyi Ngu Town] and some of them have fled to live in refugee camps in Thailand. There are only [number censored for security] households left in D--- village and no teachers so the school has had to close down until the present time. We are not confident enough to take pictures of the school because the BGF army camp is located next to the school. D--- villagers have had to build the school very far away from the village in another place. The B--- village head said that one of his sons is studying Standard 10 in a Burma/Myanmar government school in Ka Ma Moh [Ka Ma Maung Town]. He has to pay 1,500,000 kyat [US $1,238.31] [per year] for his son’s school fee but he [the village head] cannot find a job. Most of the other villages have schools in their own village and most of the schools are run by the KED [Karen Education Department] or are run by villagers independently. 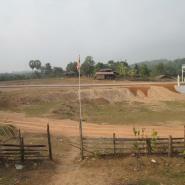 Some schools were built by the Burma/Myanmar government who send their own teachers to teach in the schools. The villagers have to provide some small support to [the Burma/Myanmar schools] and they also have to pay travel fees for the teachers. They also have to pay a fee [for associations between different local schools] and if the headteacher comes to visit the school they collect at least 500 kyat [US $0.41] from each student to have a welcome party for the headteacher. In terms of healthcare the KNU [Karen National Union], Back Pack [Health Workers], and FBR [Free Burma Rangers] have built hospitals and clinics in Bu Tho Township. Since 2014 the [Shoklo Malaria Research Unit (SMRU)] malaria research project has started but it has not been implemented in many village tracts; only in a few village tracts. The villagers do not need to pay for the medicine when they go to get medicine from hospitals, clinics, Back Pack [Health Workers] or FBR. The Burma/Myanmar government also have their own programme related to healthcare. They [the Burma/Myanmar government] operate in the delimited area and they built clinics in the villages but there are no health workers or medicine to treat villagers [patients]. When villagers go for medical treatment they [the Burma/Myanmar government health workers] sometimes could not provide medicine as there is no medicine in the clinics so the villagers who go for treatment there have to buy medicine themselves from the shops. There are three armed actors in Bu Tho Township, which are the KNLA, Tatmadaw and BGF. 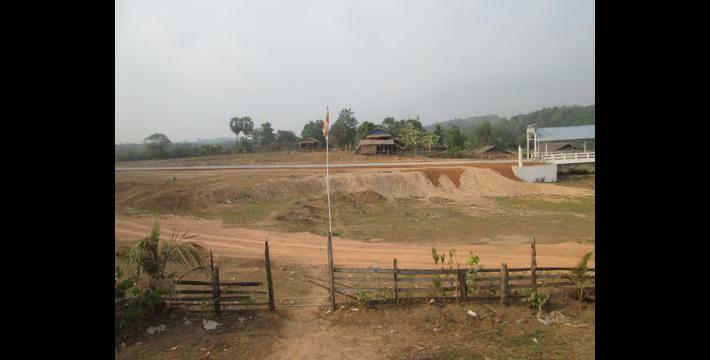 Since 2012 and 2013 until the present time, the Burma/Myanmar government military [Tatmadaw] have tried to improve their army camps and upgrade the roads. The Tatmadaw and the KNLA have their own [separate] demarcations. They [Tatmadaw] once passed over [the KNLA] demarcated area in 2015 and the KNLA fought against them. After the fighting broke out they contacted each other to ensure future communication and now they understand the situation. From Meh K’Naw River in Kyaw Pah village tract down to Meh Pree [village] in Htee Tha Daw Hta village tract, the BGF have demarcated this area as their operation area. They said that if the KNLA want to go in their area they have to go as civilians. They also did not allow village tract leaders or the KNLA to collect any kinds of support [taxes] from the villagers [in their operation area]. Based on this, the villagers do not understand them [the different armed actors] either because both groups have their own armies. They do not know which group they should trust and some villagers could not make their own decisions [about which armed actors to trust]. Between 2014 and 2015 the KNLA implemented their plan for recruiting more soldiers. They ordered each village tract leader and village head leader [to recruit soldiers for them]. But some village tract leaders were ordered [to recruit] fewer soldiers than other village tract leaders [based on how large the area is]. The villagers also live in many different places in different villages so they may not clearly understand [about the KNLA recruitment]. Thus, some of them fled to Kaw Taw [Myaing Gyi Ngu] Town and to other villages located in other village tracts in other townships. According to information that we received from one village, the village tract leaders, township leaders and battalion commanders did not consult with the villagers for details [about the recruitment plans]. However, many villagers knew that they would be forcefully recruited as soldiers so they fled to escape from the recruitment. In the place where the incident took place, the KNLA has not recruited as many soldiers since the DKBA was formed [after they split from the KNLA in 1994]. They planned to recruit five to six soldiers in each village tract. They [villagers] know that if they go to live in Kaw Taw Town they would not have to serve as soldiers or pay any taxes. This issue is based on [caused by] KNU weakness [poor communication] with the villagers. The [number censored for security] villagers who live in C--- village, Kyaw Pah village tract, Bu Tho Township fled to Kaw Taw [Town]. Regarding taxation they [KNU] have started to change the taxation system. In 2015 they asked villagers to pay taxes with money. In previous years they asked villagers to pay with paddy rice for hill taxes and farming taxes. They asked for two baskets of paddy per hill farm and one basket of paddy per acre of plain farm. The other types of taxation are motorbike licence, rice mill machine tax and car taxes. They collected taxes after orders from the KNU headquarters. When they were collecting the taxes, they did not collect the same amount of taxes in each village tract. When they were collecting the taxes they might ask for some small amounts from some village tracts. Before the [2012 preliminary] ceasefire [agreement] was signed, [in some areas], especially in Day Wah, Kyaw Pah, Meh Pree and Htee Tha Daw village tracts which are under the control of the DKBA, they did not pay taxes. From 1995 to 2011-2012 they did not pay taxes. Since the KNU took control of the territory they have had to pay lots of taxes so some of them are not clear [about the KNU taxation system]. Since 2015 the [KNU] district leaders have collected hill and plain farmers to pay money instead of paddy rice. They ordered them to [collect] taxes of 4,000 kyat [US $3.30] across the whole district. Therefore the villagers who owned many acres of land have to pay more tax. Since 2015, the [KNU land department policy] states that all farms which are located in reserved areas [KNU land department operation areas] will find out detailed information about their land and [the KNU] will provide land grants [to the landowners]. They will ask for higher taxes than for the plain farms which are located outside of the KNU territory. I do not know how much they will ask for each acre of plain farm. I will find out more information and let you know later. The above information is a Situation Update so it is not detailed information because it is a Situation Update. Some of this [information] includes KNU/KNLA recruiting more soldiers. Some villagers did not agree with the KNU’s plans. And some people were not confident enough and fled away but I can only provide this much information. Light Infantry Division (LID) of the Tatmadaw is commanded by a brigadier general, each with ten light infantry battalions specially trained in counter-insurgency, jungle warfare, "search and destroy" operations against ethnic insurgents and narcotics-based armies. LIDs are organised under three Tactical Operations Commands, commanded by a colonel, three battalions each and one reserve, one field artillery battalion, one armoured squadron and other support units. Maung is a Burmese male honorific title used before a person’s name. Commander Maung Chit, also referred to as Maw Hsee, is the commander of Tatmadaw Border Guard Force (BGF) Battalion #1014 in Hpapun District. Maung Chit is not to be confused with Maung Chit Thu (typically referred to as Chit Thu), who is a senior level BGF commander overseeing battalions #1017, #1018, #1019 and #1020 in Ko Ko, Hpa-an District. See, “Human rights violations by Border Guard Force (BGF) Battalion #1014 in Bu Tho Township, Hpapun District, May 2012 to March 2014,” KHRG, July 2015. U Thuzana is an influential ethnic Karen Buddhist monk based in Myaing Gyi Ngu who was instrumental in the formation of the DKBA in 1994; see "Inside the DKBA," KHRG, March 1996. In 1995, KHRG reported that U Thuzana had collaborated with the Tatmadaw, and met with then-Southeastern Commander Major General Maung Hla to obtain weapons and supplies for 4,000 soldiers in his monastery. As a result of the agreement, U Thuzana’s headquarters and main monastery in Myaing Gyi Ngu, in northern Hpa-an District, reportedly developed a reputation as a mystical safe haven for villagers avoiding Tatmadaw abuses. See “Karen Human Rights Group commentary,” KHRG, February 1995. More recently monk U Thuzana has been implicated in forced labour demands and of stoking religious conflict by confiscating land to build Buddhist stupas. See “Hpapun Field Report, January to December 2013,” March 2016, and “Myanmar Religious Officials Decry Buddhist Monk’s Pagoda-Building Spree,” Radio Free Asia, May 2016. The Democratic Karen Benevolent Army (DKBA) was formed in 2010 as a breakaway group following the transformation of the majority of the original Democratic Karen Buddhist Army (1994 – 2010) into the BGF. This group was originally called the Democratic Karen Buddhist Army until it changed its name to the Democratic Karen Benevolent Army in April 2012 in order to reflect its secularity. This group is comprised of different divisions, including Klo Htoo Baw Battalion and DKBA-5, and was led for many years by General Saw Lah Pwe aka Na Khan Mway who died in March 2016 and was replaced by General Saw Mo Shay in April 2016. The DKBA signed a preliminary ceasefire with the Burma/Myanmar Government on November 3rd 2011 and then signed the signed the Nationwide Ceasefire Agreement (NCA) on October 15th 2015. The group is based in Son Si Myaing area, Myawaddy/Kawkareik Township, Dooplaya District, southern Kayin State. This DKBA (Benevolent) (2010 – present) should not be confused with, either the original DKBA (Buddhist) (1994-2010) which was transformed into the BGF in 2010, or with the DKBA (Buddhist) (2016 – present) which was formed in 2016 as a splinter group of the DKBA (Benevolent) (2010 – present). Importantly, the DKBA (Benevolent) has signed both the preliminary and nationwide ceasefire agreements with the Burma/Myanmar government, whereas the DKBA (Buddhist) has not signed either agreement. For more information on the DKBA and its relationship with other armed actors, see “Militias in Myanmar,” John Buchanan, The Asia Foundation, July 2016. All conversion estimates for the kyat in this report are based on the 1st September 2016 official market rate of 1,211.38 kyat to US $1. The main goals of the Karen National Union's Education Department (KED) are to provide education, as well as to preserve Karen language and culture. During the civil war in Burma/Myanmar the KED became the main organisation providing educational services in the KNU controlled areas in southeast Burma/Myanmar. The KED also previously oversaw the educational system in the seven refugee camps along the Thai-Burma/Myanmar border, however in 2009 these activities were restructured under the Karen Refugee Committee – Education Entity (KRCEE). See "Conflict Erupts over Govt teachers deployed to KNU areas," Karen News, August 20th 2013 and the KRCEE website. For more information on this incident see “Fighting between Tatmadaw and KNLA soldiers leads to violent abuse and displacement of villagers in Bu Tho Township, Hpapun District, October 2015,” KHRG (October 2015) and “Hpapun Short Update: Bu Tho Township, May and June 2015,” KHRG (January 2016). For more information on this incident see “Villagers displaced following rumours of KNLA forced recruitment, more flee following a clash with Tatmadaw in Bu Tho Township, Hpapun District, September to October 2015,” KHRG, June 2016. The KHRG community member stated this number as between five and six although KHRG has previously received a news bulletin which stated this number as ten. See “Villagers displaced following rumours of KNLA forced recruitment, more flee following a clash with Tatmadaw in Bu Tho Township, Hpapun District, September to October 2015,” KHRG, June 2016. On January 12th 2012, a preliminary ceasefire agreement was signed between the KNU and Burma/Myanmar government in Hpa-an. Negotiations for a longer-term peace plan are still under way. For updates on the peace process, see the KNU Stakeholder webpage on the Myanmar Peace Monitor website. For KHRG's analysis of changes in human rights conditions since the ceasefire, see Truce or Transition? Trends in human rights abuse and local response since the 2012 ceasefire, KHRG, May 2014. In March 2015, the seventh round of the negotiations for a national ceasefire between the Burma/Myanmar government and various ethnic armed actors began in Yangon, see “Seventh Round of Nationwide Ceasefire Negotiations,” Karen National Union Headquarters, March 18th 2015. Following the negotiations, the KNU held a central standing committee emergency, see “KNU: Emergency Meeting Called To Discuss Nationwide Ceasefire Agreement And Ethnic Leaders’ Summit,” Karen News, April 22nd 2015.